I'm a firm believer that great curb appeal is as important and well designed interiors. 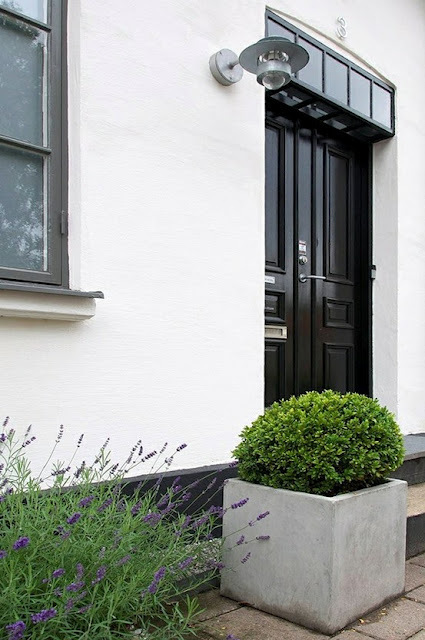 Not only does it feel good to pull into your driveway and feel proud of your home, you also want guests to feel welcome when they come over for a visit. 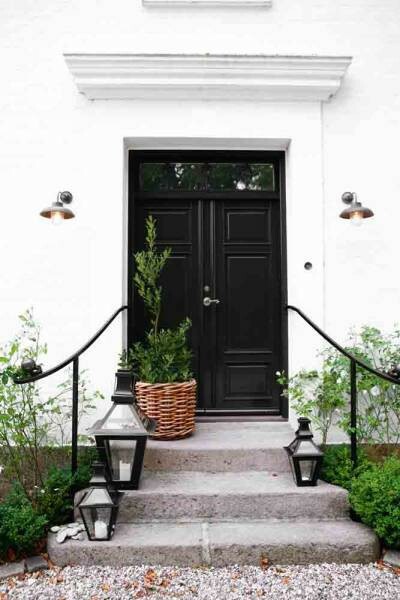 One element that I never tire of is a black front door. I think they make such a great statement and look good on most homes. Of course, great lighting and pretty potted plants pull the look together beautifully! So tell me, do you have a black front door?